What’s the most sought after dessert for autumn? Pumpkin pie immediately comes to mind, but this healthier version blends pumpkin and butternut squash for its nutrients and flavor. Pumpkin and squash are loaded with carotenoids that are powerful, cancer-fighting nutrients with many other benefits. Nutritionists recommend consuming controlled quantities of complex carbohydrates rich in dietary fiber to lower your risk of prostate cancer. Foods like pumpkin and butternut squash (as well as quinoa, sweet potato, and bananas!) 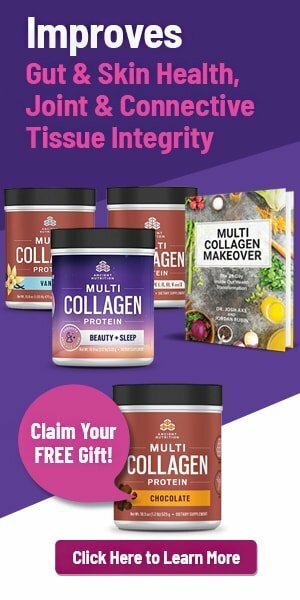 help give your body the minerals it needs to remain healthy and disease-free. Next, a 2012 study published in the Asian Pacific Journal of Tropical Medicine demonstrated how the antioxidants found in nutmeg may help to prevent the formation of blood vessel systems that feed cancer tumors. We’ve added cinnamon as well as it acts as a potent blood thinner, making it an excellent natural remedy for maintaining heart health. The cashews add creaminess and are also concentrated with protein, digestive enzymes, magnesium, and antioxidants. They are especially good for fighting colon cancer. 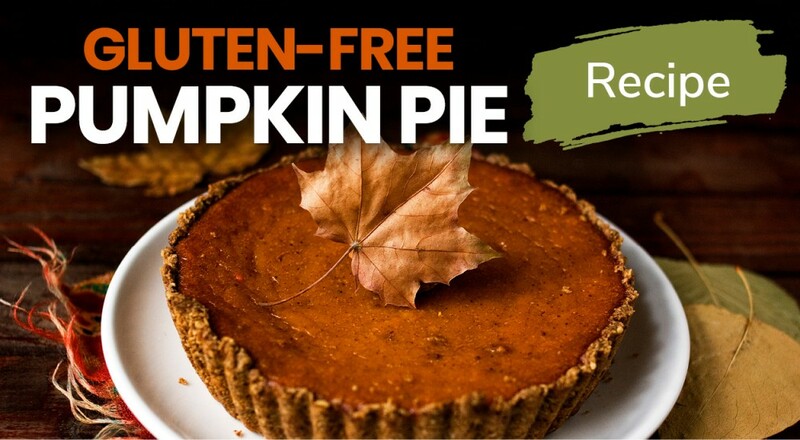 This pie is gluten- and dairy-free with healthy omega-3 fatty acids so you can enjoy this dessert on special occasions without the guilt! Grease the pie pan by placing a few drops of coconut oil in the bottom of a 9 inch glass pie plate and spreading it around including the sides. Set aside. Put all the dry crust ingredients in a food processor or high speed blender. Blend until fine crumbs form. Add the coconut oil and honey. Pulse until a dough ball begins to form. Put the dough in the pie plate and spread it evenly on the bottom and up the sides. Place in the oven at 300 degrees F for five minutes. Meanwhile, slice the pumpkin and squash. Carefully cut away the peel and chop it into cubes. Place the pumpkin and squash cubes in a steamer for 10 minutes until a fork can penetrate them easily. Remove from heat. Place all the filling ingredients in the blender or food processor. Process until smooth. Add the filling to the pie crust and bake at 300 degrees Fahrenheit for 25 to 30 minutes. It should be firm but moist. Allow to cool before slicing. Garnish with a walnut and a sprinkle of coconut sugar if desired. Enjoy! Your pumpkin pie sounds delicious. One question… did you really mean to say cut the rind into cubes? That is how sentence 4 reads. I am being a little facetious. Have a happy day. Flax seeds really “fluff up” after grinding them. Do you measure 1/4 c of flax seeds and then grind them, or do you use 1/4 c of ground flax seeds? honey heated is carcinogen! Never heat it above 100 degrees Fahrenheit, it should rather be used raw only. It may be better to use Organic Maple Syrup instead of Honey. Charlene, I have trouble baking it. Was in my oven at 300F for 45 minutes, still raw. Looks about the same as when I put it in. I wonder if it suppose to be this way. Thank you and God bless. Anna.